If you have kids who love Minecraft, then they will enjoy this fan-fic. I have read a few Minecraft books, and this one is very good, light heated, full of action and totally kid friendly. 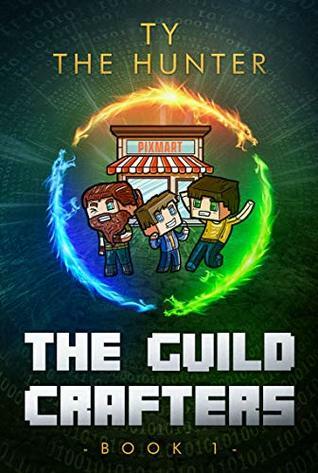 This is the first in Ty Hunters new spin off The Guild Crafter's, which see three unlikely factory workers become the key to fulfilling a prophecy. It was really good, my kids enjoyed it and can't wait for book 2! This one ends kinda on a cliffhanger. Sign into Goodreads to see if any of your friends have read The Guild Crafters.